The mugshot of Christopher Joseph Cruz. 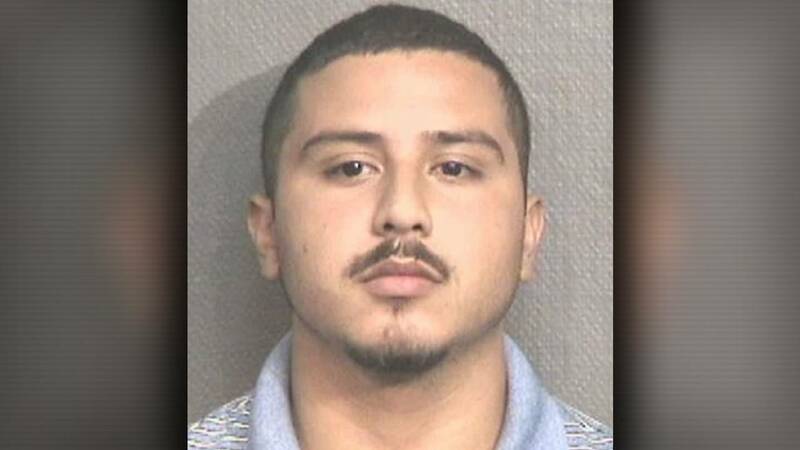 HOUSTON - A man who is accused of shooting another man to death in southwest Houston last year was arrested in Honduras and brought back to Harris County on Jan. 31 to face murder and aggravated assault charges, according to Houston police. Christopher Joseph Cruz, 21, is accused of shooting Raymond Lindgren to death on Jan. 24, 2018. Officials said Lindgren's neighbor, 25-year-old Luis Santos-Rosa, was also injured in the shooting. Investigators said Cruz and Lindgren got into an argument at the Rockport Apartments at 8500 Nairn Street around 10:20 p.m. on the night of the shooting. Authorities said Cruz shot Lindgren during the argument and Santos-Rosa witnessed the shooting. Police said when Santos-Rosa tried to drive away, Cruz shot into his vehicle, striking him at least once. Charges were filed against Cruz on Sept. 7, 2018. Police said he fled to Honduras but was located and arrested by the Honduran National Police. He was brought back to the United States, and on Jan. 31, he was booked into the Harris County Jail.